I became interested in medicine as a high school student and that interest grew in college when I worked as a volunteer in a free clinic and spent time as an observer in clinics, operating rooms and the local ER. When I worked with a family physician for the first time as a third-year student in medical school, I knew where I wanted my career to go. I’ve been a faculty member since July 2003. I wanted to share my passion for family medicine and especially the care of older patients with medical students and young doctors. I’ve completed fellowship training in geriatric medicine and I see that there is a gap in what we know about caring for older patients and the care that our health system actually provides. We can make a huge difference in the quality of life of our growing elderly population by teaching principles of geriatric medicine to providers in all areas of health care. I have been fortunate to have many mentors in my career: Dr. Jerry Jogerst has fed my interest in geriatric medicine, Dr. Mark Graber has been an indispensable teacher and collaborator for several books we have written together, and Dr. Paul James helped me to develop leadership skills. I hope that I have imbued dozens of currently practicing physicians with a determination to do what is right by their patients and to apply principles of geriatric medicine to the care of older patients. So much has changed, it is hard to pick one thing. The entire delivery of medical care for older patients changed with the passing of Medicare drug coverage and the “modernization” of Medicare. There are so many new medications since I graduate medical school in 1999 that I have to work to keep up. I remember being told that “half of what you learn in medical school will be wrong in 10 years”. While that may be an exaggeration, there have been huge changes in medical knowledge. 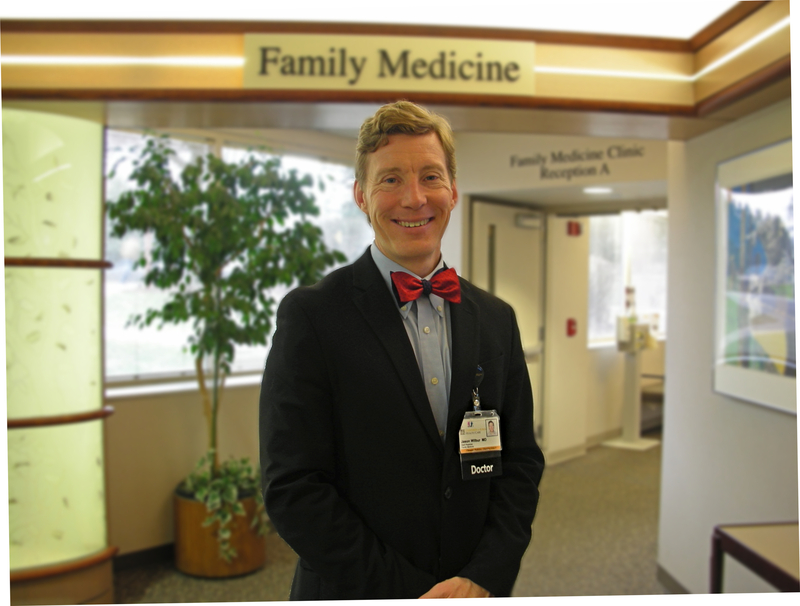 I am the editor for the Iowa Family Physician, a journal of the Iowa Academy of Family Physicians. I also have edited 4 editions of a board review book. I’ve traveled to Indonesia 4 times to help develop family medicine education programs with Gadjah Mada University. I love spending time with my brilliant and beautiful wife and my 2 teenage sons. Together, we enjoy traveling, hiking and spending time outdoors.